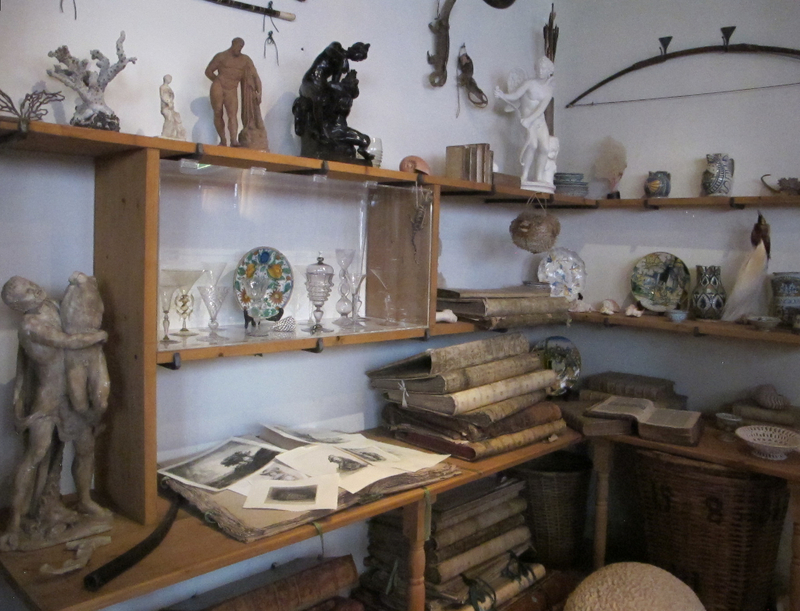 Rembrant’s personal study collection at Rembrant Huis, Amsterdam. Historic sites have incredibly complex collections that range from furniture and photos to buildings and landscapes. Figuring out priorities for collections care can be daunting but thankfully, the University of Illinois Libraries with the help of IMLS funding, recently created a Preservation Self-Assessment Program (PSAP). It’s a free online tool that helps collection managers evaluate the condition of materials, storage and exhibit environments, and institutional policies for books, paper documents, photographs, recordings, films, and architectural prints in historic sites, museums, archives, and libraries. In addition, there’s a Format ID Guide, which includes identification cheatsheets in case you can’t tell a blue print from a Diazo print. Staff and volunteers at any level of experience can use the PSAP. The program asks questions about your the materials in your collection, storage and exhibition environments, and collections policies to develop a unique profile for your organization and potential priorities for collections care. It includes additional help to explain concepts and principles, showing examples along the way. The application runs in your web browser; no software installation is necessary. No limit is placed on the amount of items or collections you assess; all data is securely stored on University of Illinois servers. The Illinois Heritage Association has a lengthy overview with more details. Even though PSAP doesn’t cover everything you’ll encounter in your collections, it’ll help you with a significant part. Now someone needs to get to work on a Museum Self-Preservation Program in Illinois. This entry was posted in Collections, Technology and tagged Illinois, Institute of Museum and Library Services, University of Illinois on January 5, 2016 by Max van Balgooy.